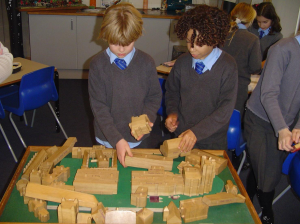 Discover Canterbury Cathedral on one of our curriculum linked primary visits. 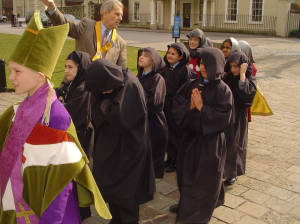 Our primary school package includes a costume trail or guided tour of the Cathedral enabling children to see the places and hear the stories that bring their topic to life. Visiting groups will also participate in a led session in our project room where they will enjoy a range of practical and hands on activities relevant to the Cathedral and the topic being studied. This could include making medieval pilgrims badges, quill pen writing and stained glass craft. Use of the lunch room is included in our primary school package. Choose from the visits detailed below or contact the Schools Department directly to book a visit tailored to your own specific requirements. It is also possible to book a self-led ‘entrance only’ visit to the Cathedral. Church schools are now encouraged to use Understanding Christianity for the teaching of the Christian faith. Many of the key concepts that are taught can be enhanced through a visit to the cathedral. A tour of the cathedral can be tailored to explore your key question through the eyes of this extraordinary building, built as an expression of Christian faith. This visit will support your study unit on Christian places of Worship and emphasises the special nature of Canterbury Cathedral as a place of Worship. During your visit we will consider the different services that take place, the furniture and features of the Cathedral, symbolism and the stained glass. The tour can also include a quiet time of reflection involving the lighting of candles. Why did Canterbury Cathedral become such an important centre for pilgrimage and do pilgrims still visit today? Visiting groups will find out about the foundation of the Cathedral in 597AD as well as the events that took place in December 1170 when Archbishop Thomas Becket was brutally murdered in the Cathedral. There will also be an opportunity to consider what pilgrimage has meant both in the past and present and how it has shaped the Cathedral that stands today. Find out how Canterbury Cathedral was founded in Anglo Saxon times by Saint Augustine when he was offered the site by King Ethelbert and Queen Bertha. 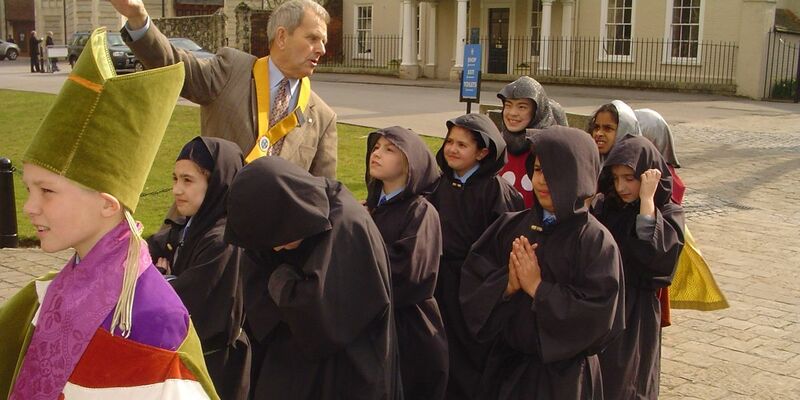 Your class will explore the Cathedral in costume, finding out about life in Anglo-Saxon Canterbury right up to the siege of Canterbury that involved the dramatic kidnapping and murder of Archbishop Alphege at the hands of the Vikings. This visit also includes time in the Cathedral archives investigating items from our collections that date from this time. The best part of the day was the dressing up. I loved being a knight and I hope we can come back soon. Since its foundation in 597 AD, Canterbury Cathedral has witnessed a series of events that has shaped British History. Bring your class for a walk through time in costume. From the arrival of Augustine in 597AD, through the dramatic events that took place in December 1170 when Archbishop Thomas Becket was brutally murdered in the Cathedral building, leading to Canterbury becoming the most important site of pilgrimage in the United Kingdom. The subsequent destruction of St Thomas Becket’s shrine and the dissolution of the monasteries in Tudor times continue the story further. This visit can be adapted for Key Stages 1 & 2. Tour the Cathedral to find out about the different styles of architecture in the building and discover the wonderful range of stained glass in this iconic building, as well as the stories and meaning behind the stone and glass. Canterbury Cathedral has one of the most impressive collections of Stained Glass in the country. The oldest glass is thought to date from around 1176 and the newest from just last year. Younger children can dress up in costume as some of the characters illustrated in the stained glass and then find themselves in the windows as they walk around. The children will also have the opportunity to design and create their own window, inspired by their visit to Canterbury Cathedral, to take back to school. Please contact the Schools Department to discuss the individual requirements of your group and also inform us of any specific needs when you return your booking form. The Schools Department is wheelchair accessible as is the majority of the Cathedral building itself. When we used the quill pen I knew how hard it could be for the monks to do writing. Our learning resources and activities have been developed in partnership with Canterbury Christ Church University Faculty of Education. We are also supported by a teacher’s panel, represented by a cross section of schools, which offers guidance and feedback. If you are a teacher and interested in joining our teachers’ panel, please contact schools@canterbury-cathedral.org.